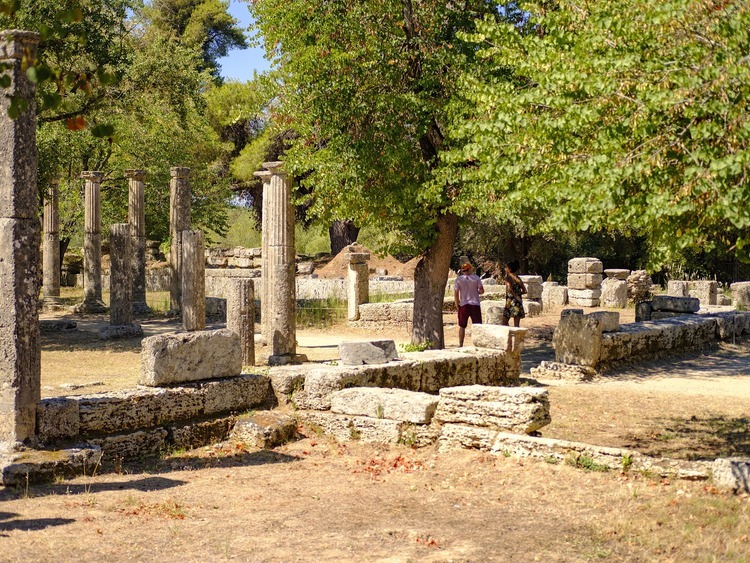 A journey back in time to the ancient, sacred city of Olympia for you to relive its history and appreciate its priceless archaeological treasures. We will leave the port behind us to discover ancient Olympia, the sacred city of the Peloponnese, which stands at the foot of the gentle slopes of Mount Kronian. You'll find it hard not to be moved by such an impressive place. We will tour the excavations, begun by the Germans in 1875 and as yet ongoing, where we will be able to admire the sanctuary which housed a wonderful complex of monuments within the sacred enclosure (Altis), including the Temple of Zeus, the Temple of Hera (where the Olympic torch-lighting ceremony is held), the Gymnasium, the Palestra and the Stadium. The temple dedicated to Zeus is the most famous: it contained the statue of the deity by Phaedias, considered one of the Seven Wonders of the ancient world. Let's continue our itinerary to admire one of the most beautiful collections in Greece, preserved in the Archaeological Museum of Olympia. We will marvel at the finds from Ancient Greece, at the splendid metopes from the Temple of Zeus and the Nike of Peonius, to end in style with the splendid statue of Hermes with Dionysus, the masterpiece by Praxiteles discovered in the Temple of Hera.